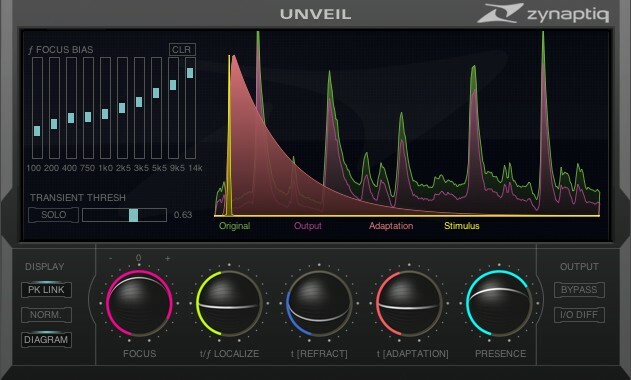 Zynaptiq has announced the release of Unveil, a real-time de-reverberation and signal focusing plug-in, initially for Mac OS X in the AudioUnits (AU) format. 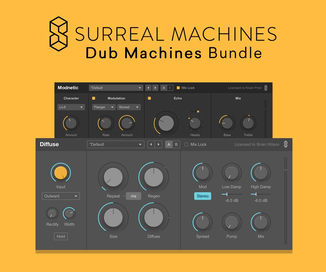 UNVEIL is a real-time, de-mixing based plug-in that allows attenuating or boosting reverb components within a mixed signal of any channel count, including mono sources, as well as modifying contained reverb characteristics. Audio engineers can attenuate reverb in recordings, gaining flexibility both in microphone placement as well as mix-down. Film mixers and dialog editors can remove reverb from dialog and location sound, reducing the need for dialog replacement and foley, and match reverb amounts across different takes or perspectives as well as up-mix from stereo to quad by panning the reverb components to the rear and the dry signal to the front. 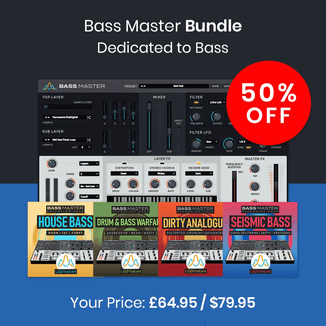 Music producers can turn drum-loops rich in reverb into dry recordings, and vice-versa. Sound designers and foley artists can remove reflections and ambience from suboptimally captured sounds. Mix and mastering engineers can bring key mix elements into focus by attenuating components commonly referred to as “mud”. Attenuate or boost the level of reverb components in mixed signals. 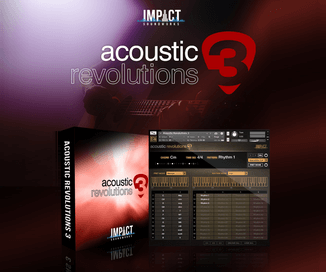 Modify reverb characteristics within a mixed recording. Bring key features of any signal into focus by attenuating perceptively less significant components. 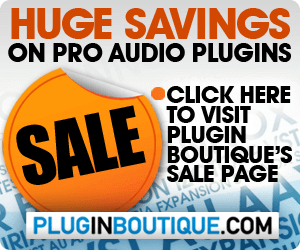 Works with any sample rate and channel count, including mono sources. 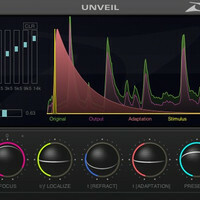 Unveil is currently available to purchase for Mac (AU) for the introductory price of 269 USD/EUR until June 1st, 2012 (regular 399 USD/EUR) Prices in EUR inclusive of 19% VAT. VST and AAX support for both Mac and Windows platforms planned for later in 2012.